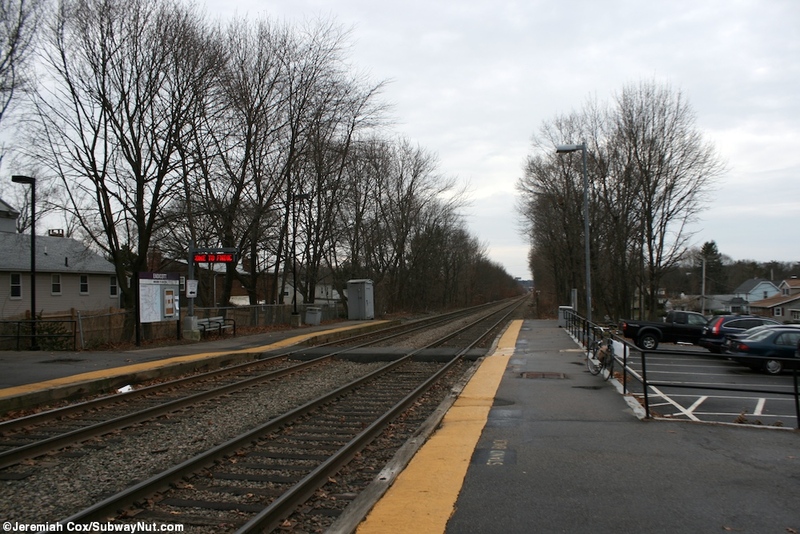 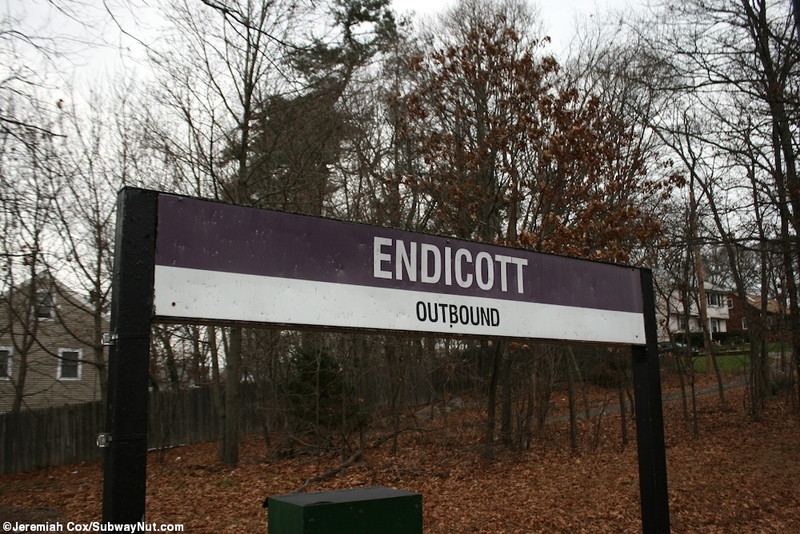 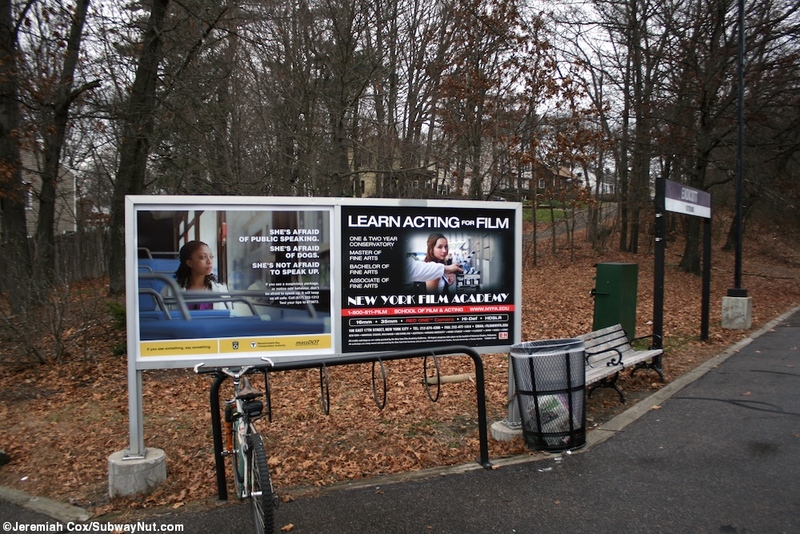 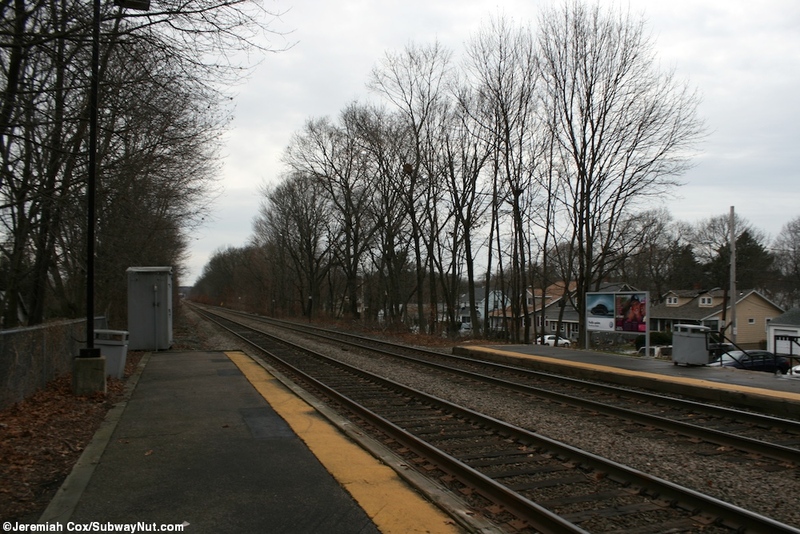 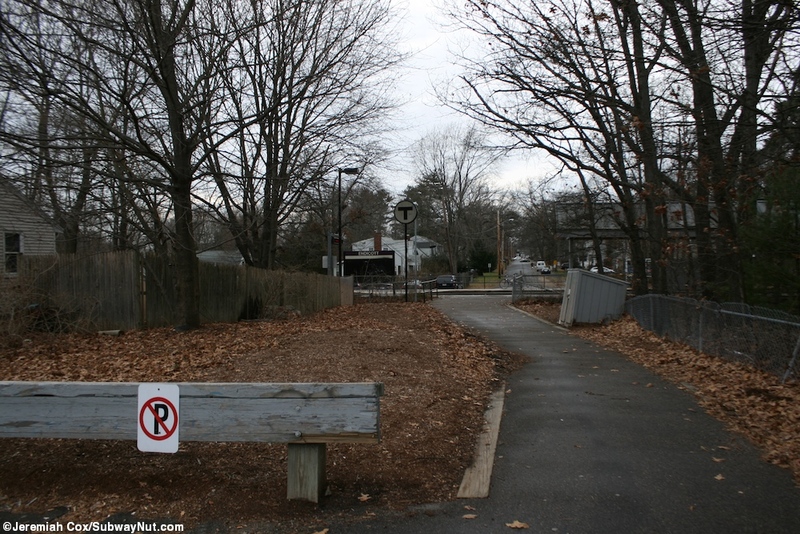 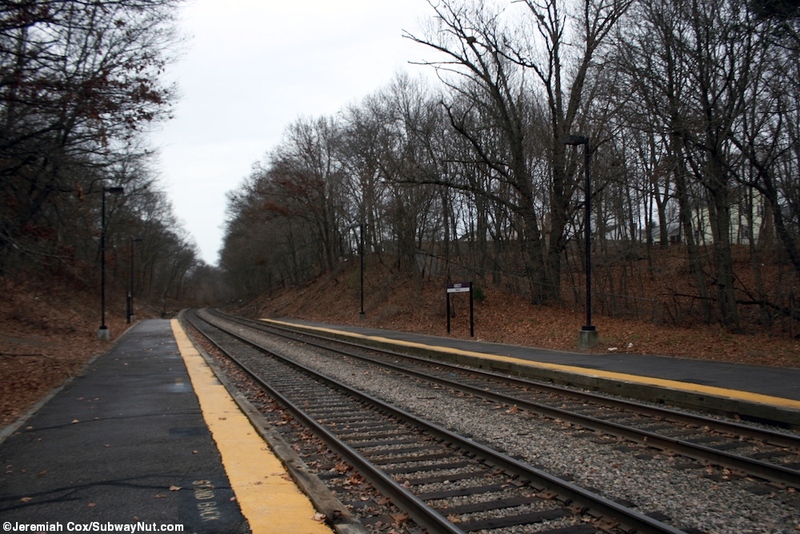 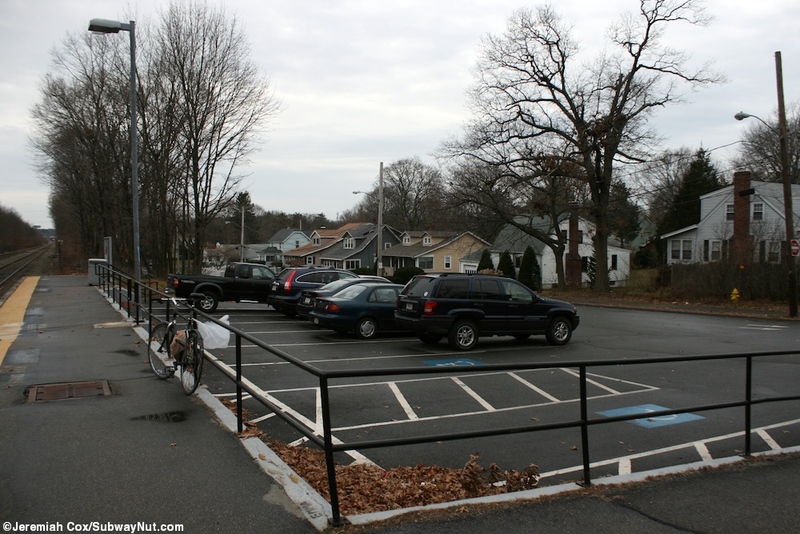 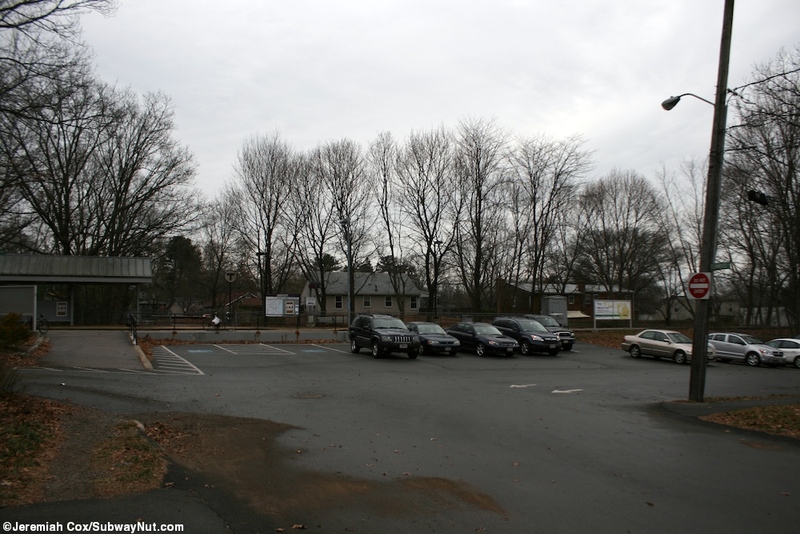 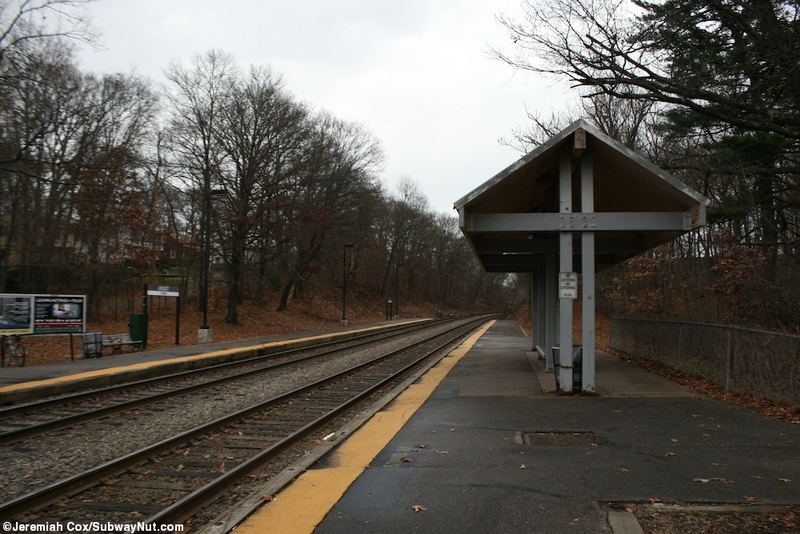 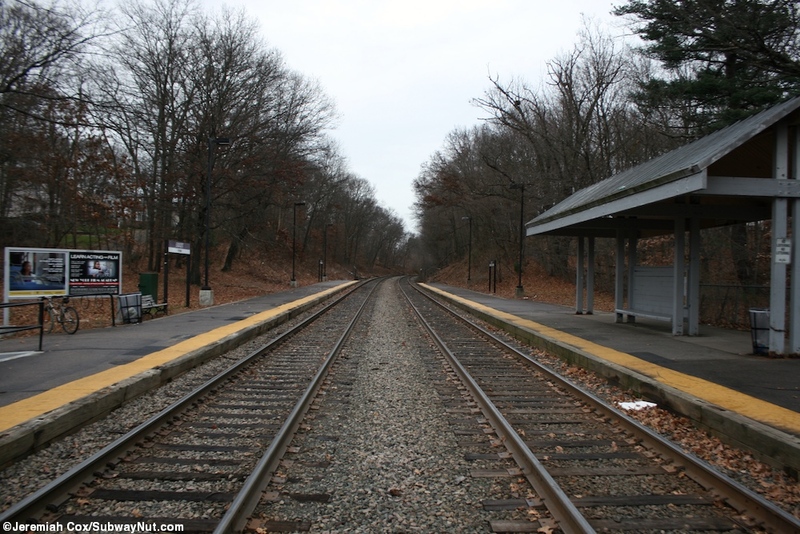 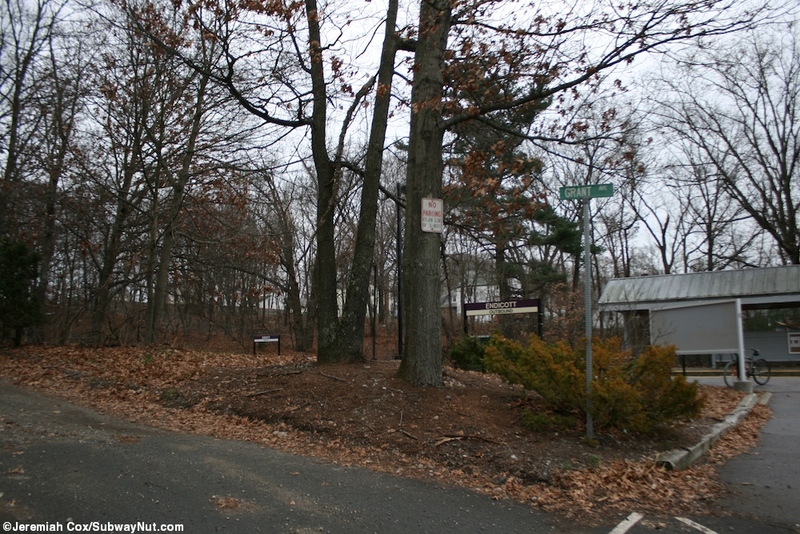 Endicott is a station on the Franklin Line located in the midst of wooded inner suburbs of Boston. 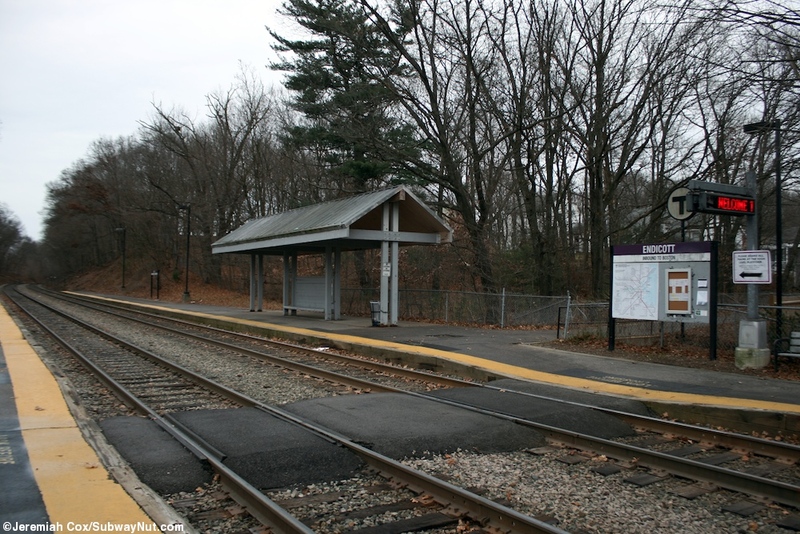 The station consists of two short low-level concrete side platforms with just a yellow strip of paint to designate the platform edges. 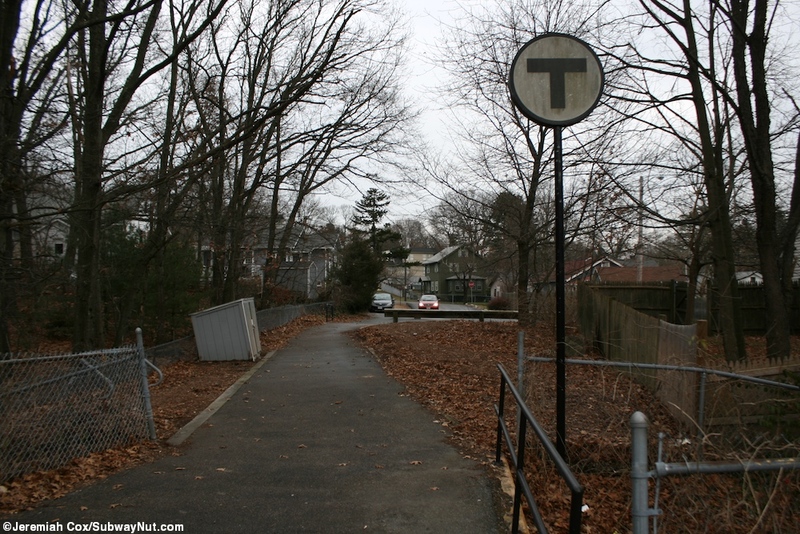 They are located a shortways inbound from East Street's underpass of the railroad tracks. 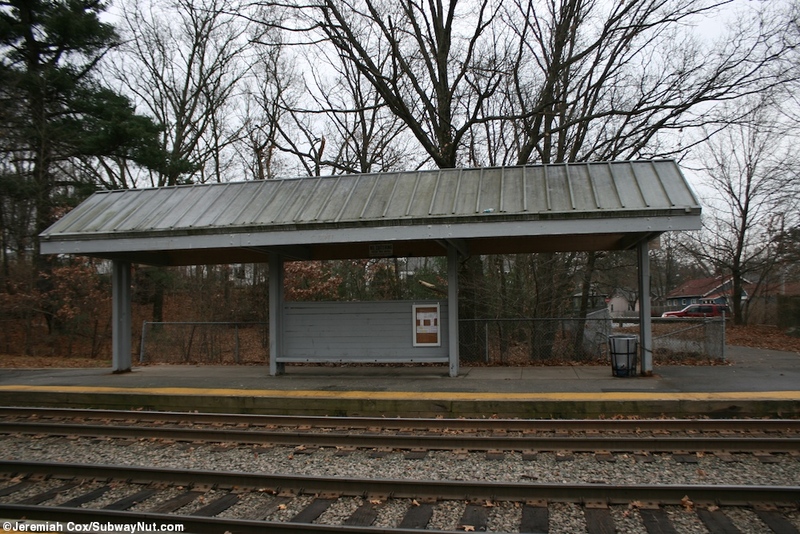 The only piece of platform furnature is a wooden canopy structure with a built-in bench on the inbound platform. 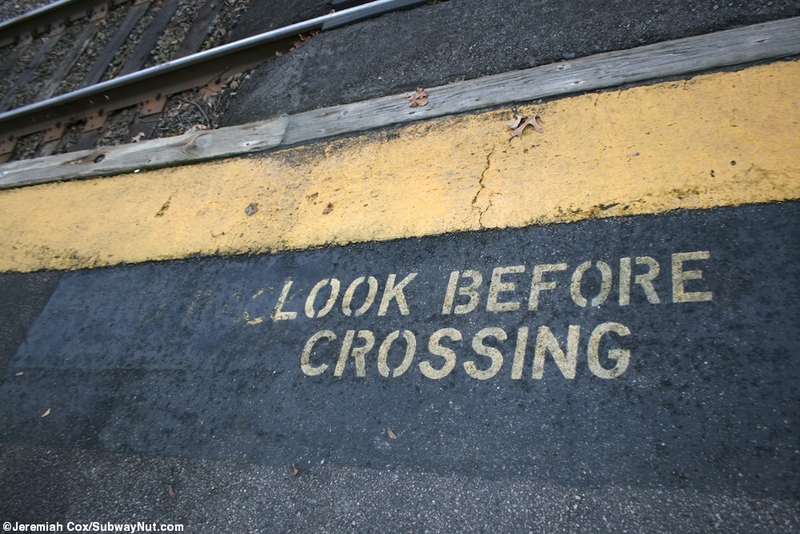 The two are connected by a concrete pedestrian crossing but no fence separates the tracks anywhere. 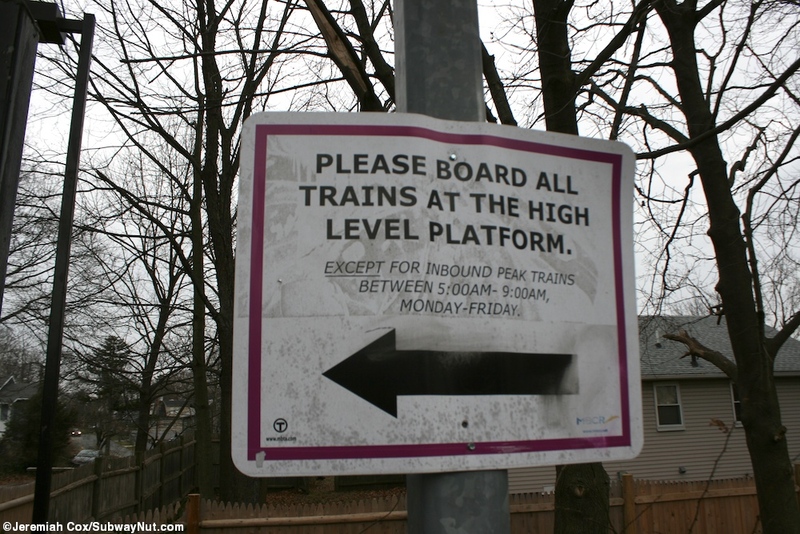 Each platform has its own access location. 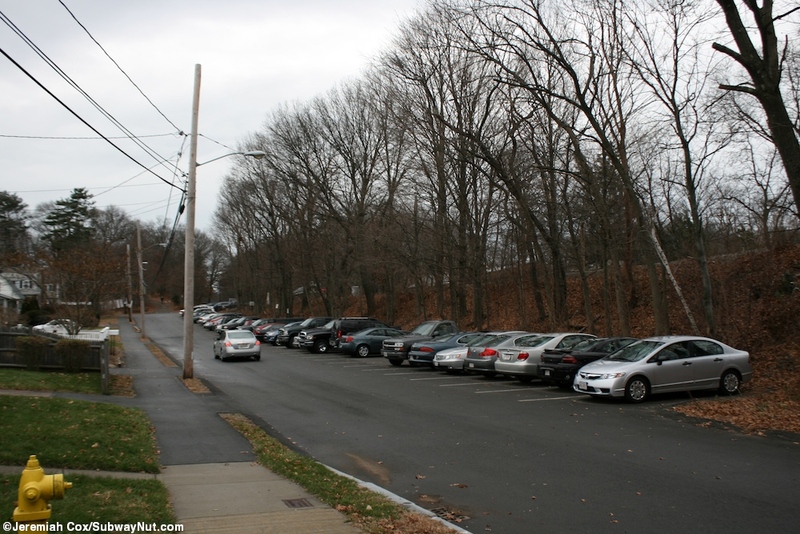 The outbound is along Grant Avenue with some parallel parking spaces the closest thing to a parking lot for the station. 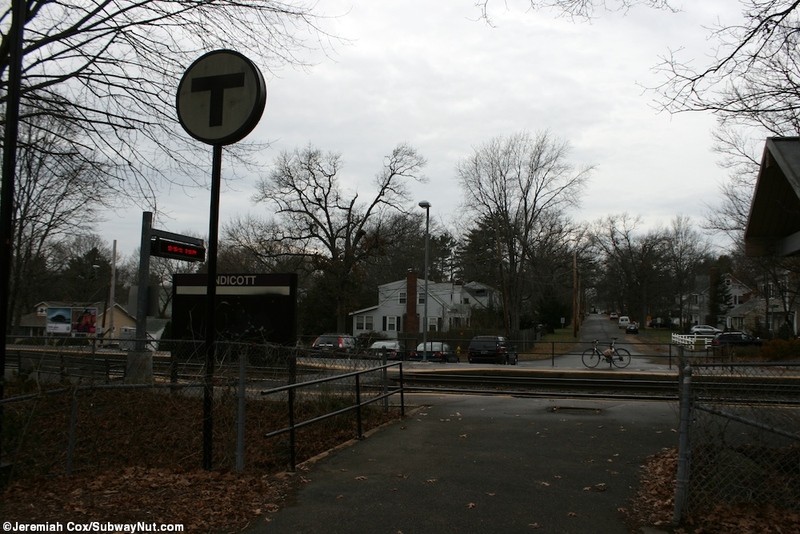 The inbound platform has a short footpath to Depot Avenue (where it curves and becomes Greenwood Avenue).